Thank you for purchasing the fi-5015C Color Scanner. meters (10 feet) or less. conforme Г la norme NMB-003 du Canada. 70 dB (A) oder weniger, gemГ¤Гџ EN ISO 7779.
are uniform among participating nations. herein, whether expressed, implied, or statutory. ensuring safety in such high-safety applications. in your mouth as it has mercury. general term "Windows " is used. glass surface inside the ADF. The user must not perform repairs on this scanner. provider to make repairs to this product. action which users may not perform. specific action that is not allowed. show instructions users should follow. warning labels from the scanner. image capturing software and Adobe Acrobat. where you purchased the scanner. Do not damage the AC cable. cause electric shock and/or equipment failure. power voltage. Do not connect to multiplepower strips. and current might cause fire or electric shock. Do not connect to multiple-power strips. Do not touch the AC cable with wet hands. Doing so might cause electric shock. splash or allow the scanner to get wet. the power plug in order to turn out the scanner. Wipe any dust from the power plug. has oil smoke, steam, humidity, and dust. so might cause a fire or electric shock. the floor is free of any obstruction. fields and other sources of electronic noise. Do not block the ventilation ports. Firmly insert the power plug. Do not use aerosol sprays to clean the scanner. power plug from the power outlet for safety. Avoid any contact when scanner is in use. scanning since this may cause injuries. moving it from a cold place into a warm room. about one or two hours before you use it. which can cause scanner trouble or even fire. Install the scanner in a well-ventilated location. provider. Handle the scanner and accessories with care. scanner. The panel consists of a Function Number Display, four buttons and a LED. This section describes the names of parts. by the Send to button. Turns the scanner ON and OFF. OperatorвЂ™s Guide" on the Setup CD-ROM. Lights only one time upon turning on the scanner. Indicates that initialization will soon be completed. This status is called "Ready Status". error is indicated. Refer section "Temporary error"
"E" and an alarm number (0, 2 ,7, b, c, d) are indicated alternately. press "Scan" or "Send to" button. power again, contact your service engineer. "application" hereafter) must be installed on your PC. 1. Turn on your PC and log on to Windows. you will use. 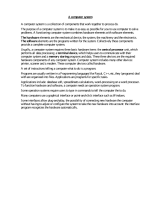 The following sections describe installation of each driver and application. connecting the scanner to your PC. If you have connected the scanner beforehand, the "Found New Hardware Wizard"
XP, log on as a user with "Administrator"
2. Insert the Setup CD-ROM into the CD drive. в‡’ <SETUP DISK START UP SCREEN> appears. directly from the "Explorer" or "My Computer". Confirm the following items before installing the application. into the CD driver yet. TWAIN 32 driver if already installed. 4. Click [TWAIN Driver] on the window below. window. Error Recovery Guide will automatically continue finishing its installation. "Scandall 21" is an image capturing software that complies with the TWAIN standard. 1. Insert the Setup CD-ROM into the CD drive. 3. Click [ScandAll 21] on the window below. 8. When the [InstallShield Wizard Complete] window appears, click [Finish]. Your computer will be restarted. until your PC has completely restarted. Installation of the scanner driver is completed. 6. When the [InstallShield Wizard Complete] window appears, click [Finish]. 4. Click [ISIS Driver] on the window below. not insert the Setup CD-ROM into the CD drive yet. 1. Turn your PC on and log on to Windows. 2. Insert the "Setup CD-ROM" into the CD drive. Now the installation of the scanner driver is completed. "QuickScan Proв„ў (Trial)" is an image capturing software that complies with the ISIS standard. 1. Insert the Setup CD-ROM into a CD drive. в‡’ <SETUP DISK STARTUP SCREEN> appears. given below for installing it. 1. Insert the Setup CD-ROM in your CD drive. 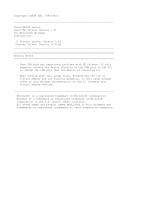 Software Option, refer to the "Image Processing Software Option USERвЂ™S GUIDE". Install Adobe Acrobat from the "Adobe Acrobat CDROM" provided with this scanner. the manuals stored in the CD-ROM. в‡’ The "Adobe Acrobat" window appears. directly from "Explore" or "My computer". 2. Select the language and Click [OK] button. Solution 1: Set "Edge shadow removal"
Scanner...]-> [Image Settings...] in Acrobat. 2. Setting "Adaptive" for "Color/Grayscale"
other than "Adaptive" under "Compression." scanned document" in Acrobat Help. Follow the procedure below to uninstall supplied programs. slightly vary depending on your OS. 5. Follow the instructions to install the software. Acrobat installation. Refer to "Adobe Acrobat Help" about how to use Adobe Acrobat. 1. Start up your PC. 2. Exit all currently running programs. 3. Select [Control Panel] - [Add or remove Programs] from the [Start] menu. After the computer has been restarted, connect the scanner. в‡’ This displays the "Add or remove Programs"
4. Select the application to uninstall. 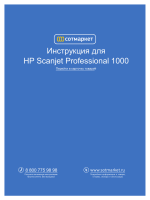 select "Scanner Utility for Microsoft Windows". select "Image Processing Software Option"
1. 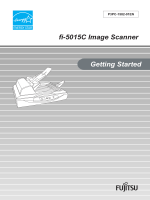 Place the scanner at its installation site. Specifications" in the Setup CD-ROM. 5. Click the [Change/Remove] or [Remove] button. Click the [OK] or [Yes] button. в‡’ This executes the uninstallation. Follow the procedure below to connect the USB cable. 5. Connect the AC adapter. 1) Connect the AC cable to the AC adapter. available cables is not guaranteed. are compliant with USB 2.0. The scanning speed may slow down if it is connected with USB1.1. 4. Press the power button to turn ON the scanner. 3) Plug the AC cable into the outlet. AC cable into the outlet. Your scanner will be automatically detected. The installation of the scanner is completed. 1. Load the documents on the scanner. the fi-5015C Operator's Guide on the Setup CDROM. Guide" provided in the Setup CD-ROM. Microsoft Windows] - [ScandAll 21]. images are displayed on the [ScandAll 21] window. 4. Select "FUJITSU fi-5015C" on the dialog box. If the scanning completes without any trouble, the instalation performed successfully. "fi-5015C OperatorвЂ™s Guide" on the Setup CD-ROM. 5. Select [To View...] from the [Scan] menu. of scanning) and click the [Scan] button. 1. Load the documents on to the scanner. Operator's Guide on the Setup CD-ROM. From the [Start] menu, select [Programs]-[QuickScan]-[QuickScan]. 5. Select [Preview Scan] from the [Scan] menu. And then the document is scanned. the [Start] menu, point to [Programs][QuickScan] and click the file. Scanner does not turn on. Is the main switch turned on? Turn the main switch on. Have you pushed the power button? Are the AC cable and AC adapter properly connected to the scanner? the scanner, then connect them again. authorized FUJITSU scanner service provider. Is Windows normally started up? Load the document correctly on ADF paper chute. Is the ADF closed completely? Is the USB cable properly connected? Does the Function Number Display indicates an alarm or an error? Guide for removing the alarm or the error. off and back on again? Turn off and on the power button. Are the documents loaded correctly? Scan the document by Flatbed. ADF paper chute. Refer to Section 2.2.2 of the fi5015C OperatorвЂ™s Guide. Is the document stack thicker than 4mm? stack to 4 mm thickness or less. Is the Pad ASSY dirty? Guide "3.2.3 Cleaning the ADF". Is the Pad ASSY worn out? Guide "3.3.3 Replacing the Pad ASSY". occurs frequently, or document stops midway). Do the documents satisfy the "Document Quality"in Section 2.3.1of the fi5015C OperatorвЂ™s Guide? Is the thick document placed on the Flatbed? Is the Pick roller unit dirty? Is the Pick roller unit worn out? Replace the Pick roller unit. Refer to the Operator's Guide "3.3.4 Replacing the Pick roller unit". Are the Pick roller unit dirty? leading edge of the generated image? Have you adjusted the offset (the scanning starting position)? Cameras] in the control panel. * "Multi feed" means that more than 2 papers are fed at the same time. A paper feed error occurred. Trouble in the optical system. An error in the memory. Confirm that the shipping lock is released. the ADF cable, then turn on the scanner power. case you make any operation with ADF cable. 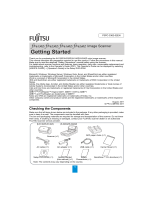 FUJITSU scanner dealer where you purchased the scanner. The ADF must be cleaned with a lint-free cloth moistened with the Cleaner F1. and their recommended replacement cycles. Woodfree paper or Plain paper. and how frequently the scanner is used and cleaned. Use only the specified consumables. z The contents of this manual are subject to change without notice. profit loss due to defects, and any claims by a third party.